Summer Morning View Of Carpathian Mountains. Fresh Grass And.. Stock Photo, Picture And Royalty Free Image. Image 62216583. 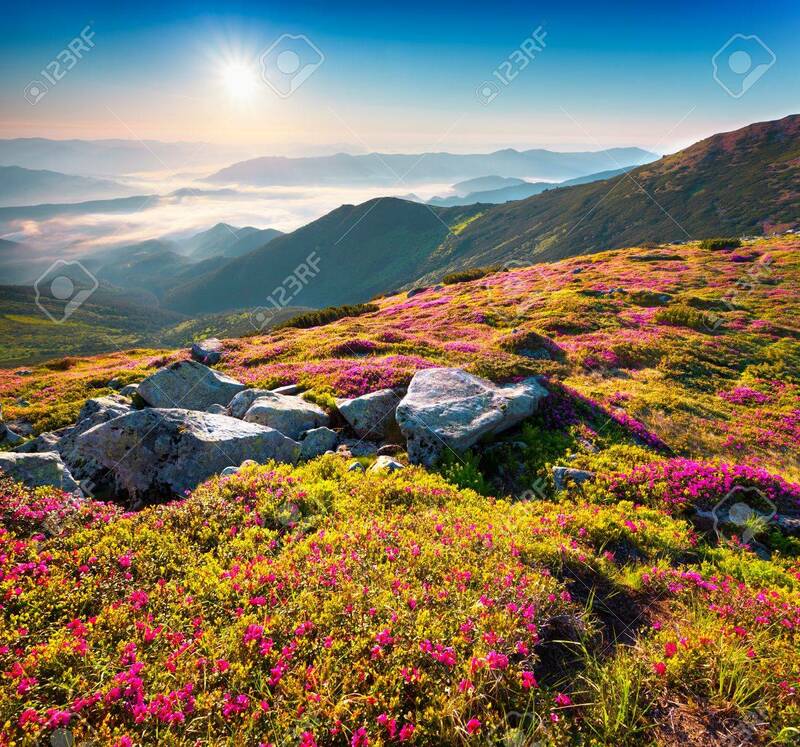 Stock Photo - Summer morning view of Carpathian mountains. Fresh grass and rhododendron flowers glowing first sunlight in the foggy morning. Chornogora ridge, Ukraine, Europe. Summer morning view of Carpathian mountains. Fresh grass and rhododendron flowers glowing first sunlight in the foggy morning. Chornogora ridge, Ukraine, Europe.